No Chemical Sprays, Wipes, DEET or Lotions on Skin! 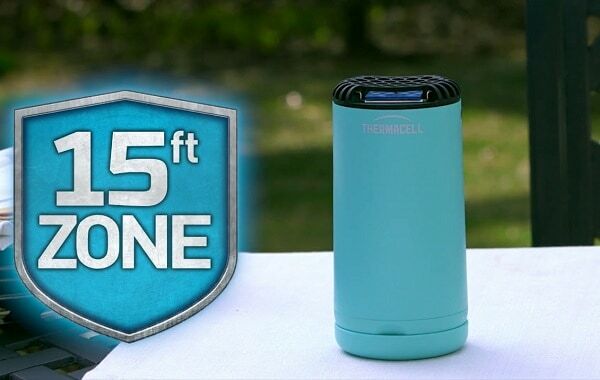 The Thermacell Patio Shield Mosquito Repeller is more effective and repels mosquitoes without sprays, scents or flames of torches, smelly citronella or dirty candles. Scent-Free, Long-Lasting, Easy to Use — Highly effective repellent mats turn white when time to replace; evaluated by the EPA for safety and effectiveness; Turn it on… Mosquitoes Gone! We have three of these mosquito repellers and love them! Check out more Front Porch Patio Ideas.